A man who continued urinating while talking to police, was fined £140 at Magherafelt Magistrates Court. 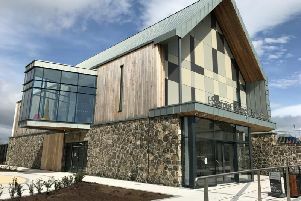 The court heard that at 1am police were on patrol in Magherafelt town centre when they observed the defendant urinating outside a shop premises. He added that there were not many people around at the time and he had tried to find somewhere less public.